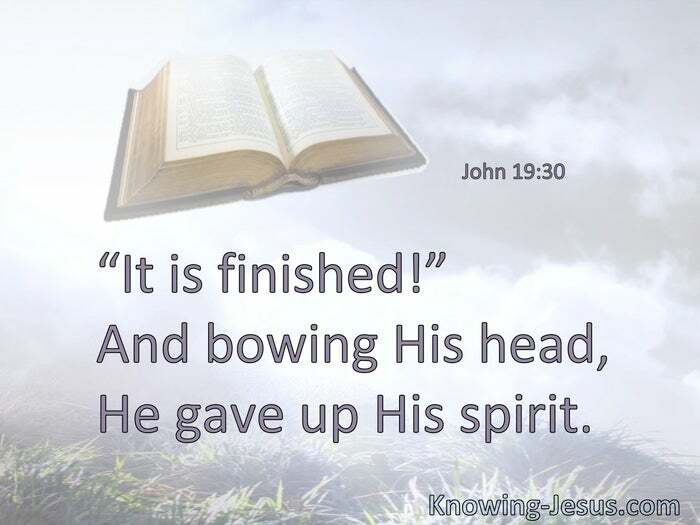 “It is finished!” And bowing His head, He gave up His spirit. 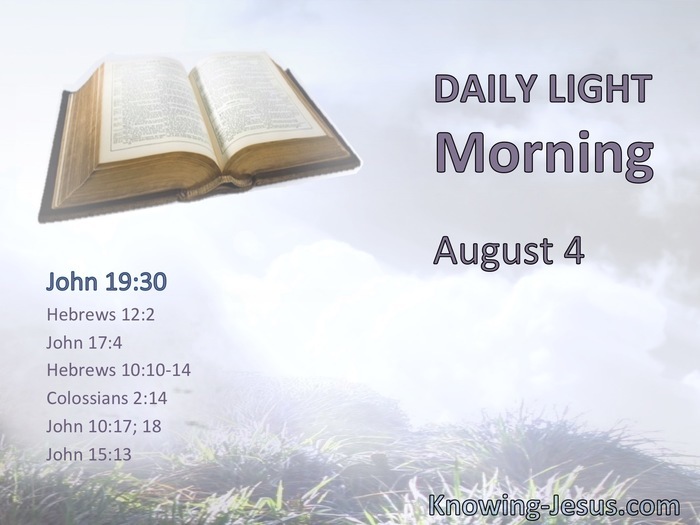 Jesus, the author and finisher of our faith. § I have glorified You on the earth. I have finished the work which You have given Me to do. § We have been sanctified through the offering of the body of Jesus Christ once for all. And every priest stands ministering daily and offering repeatedly the same sacrifices, which can never take away sins. But this Man, after He had offered one sacrifice for sins forever, sat down at the right hand of God, from that time waiting till His enemies are made His footstool. For by one offering He has perfected forever those who are being sanctified. § Having wiped out the handwriting of requirements that was against us, which was contrary to us. And He has taken it out of the way, having nailed it to the cross. I lay down My life that I may take it again. No one takes it from Me, but I lay it down of Myself. I have power to lay it down, and I have power to take it again. § Greater love has no one than this, than to lay down one’s life for his friends.